“We can sort out that whole Iraq thing and that gay marriage thing down the road. 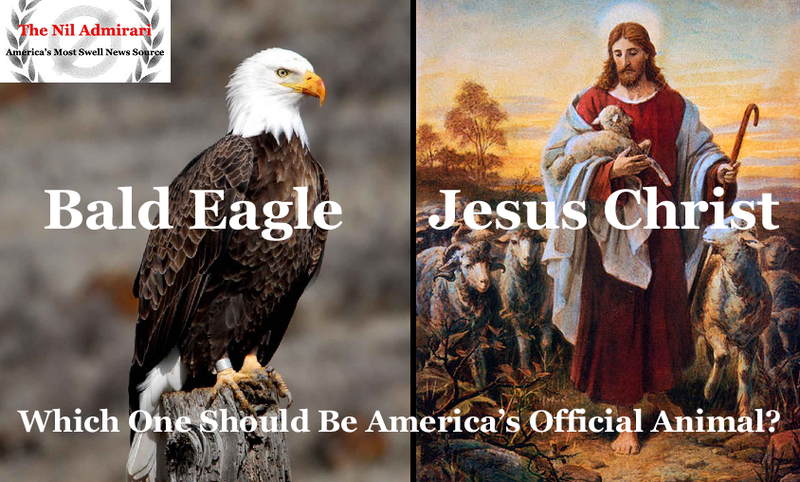 It’s more important that I profess my belief Jesus Christ, my Lord and Savior, should be the official animal of the United States,” stated Cruz to a crowd in a high school gymnasium. An American Bald Eagle (Top Left) and Jesus Christ (Top Right). A group of about a dozen bald eagle supporters booed Cruz, and Jesus Christ supporters threw readily available bald eagle eggs at them. All other Republican presidential candidates have chosen one of the two sides in the debate except former Governor of Florida Jeb Bush, who supported Donald Trump being the national animal.